I’ve been busy working on the Civil Tribute quilt as I want to get this completed in the next few weeks so it can be displayed at Plain and Simple. The BOM club starts on February 20th, and several people have signed up to participate. I look forward to showing everyone how to make this quilt. Blocks 2 and 3 are now completed and I am working on the next two. Block 2 was kind of a challenge since it is made up of all those half-square triangles, which means you have to do a lot of sewing on the bias. 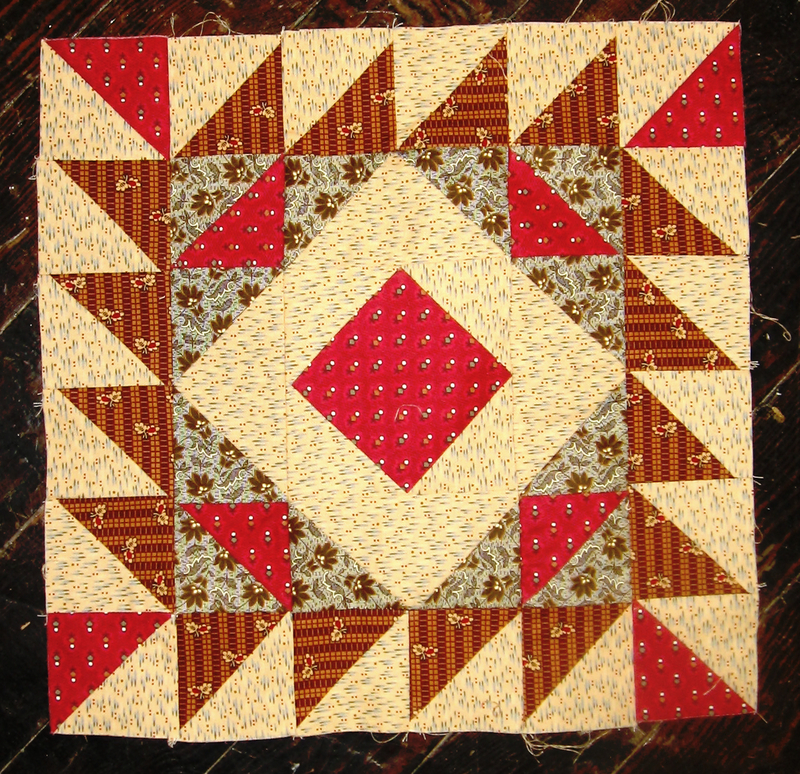 You have to be careful not to pull the fabric as you sew it, or else the block won’t be accurate. I did get a good tip about how to make this easier – use a lot of spray starch on the fabric to make it nice and stiff before you cut it. This will stabilize the fabric and make it less likely that the bias will get stretched out of shape while you are sewing it. 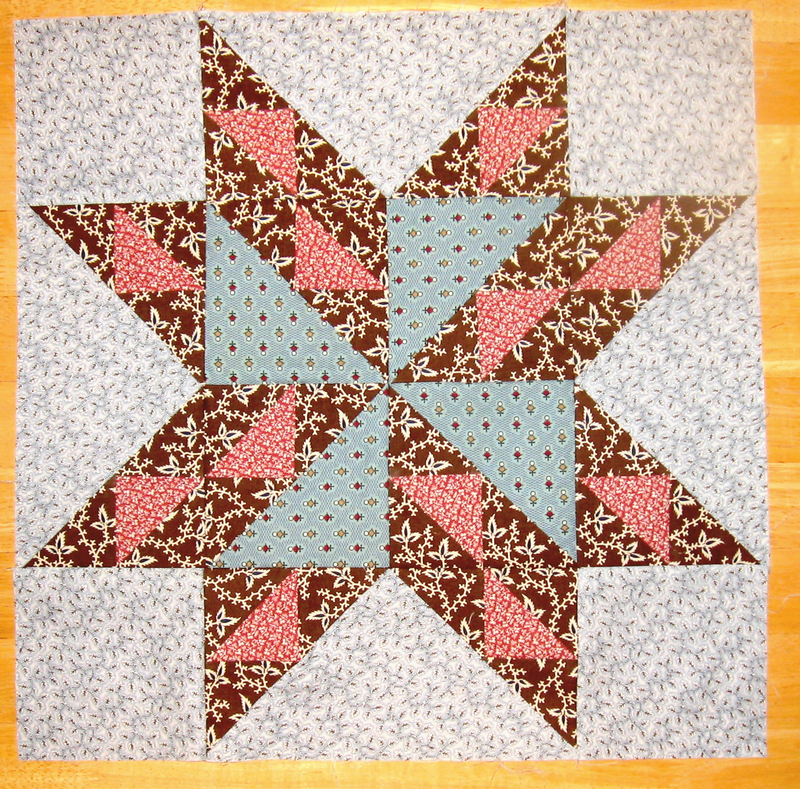 This entry was posted in Civil War, Quilting. Bookmark the permalink. Thanks! The colors don’t really show up very well on the website. In person the colors are much richer. It’s looking great Heather! Those half square triangles are a challenge aren’t they? Loved seeing the photos. Thanks Mrs. S! Any other tips for HSTs?